Last season, I actually did enjoyed reading about teams I am not necessarily watch playing, good overall trolling and what not added to some entertainment, but this year, it has been pretty quiet, So I figured I write about Blue Jackets as not many here actually know who they are or care about them one way or another. Obviously, some of you might go and say "I thought so" about the Artemi Panarin performance this far. After all 2 measly goals, bad timing penalty at Rangers a couple of days ago, going too fancy and too flat in his second shootout attempt against Lightning. All and all, looks like a "blockbuster deal" gone bust. And I would have thought that way as well if I did not watch the actual games. I tell you, this guy is pretty awesome and (imo) is the most skillful puck handler on the team and probably in the top 5 in the league. He got 10 assists so far on the paper, but I would give him an automatic assist for every game he plays. When he touches the puck, it is pretty common that a chaos breaks out and you can feel an intensity on the ice rising. It is quite a phenomenal to me that Jackets could not capitalize on more of his possessions that 12 times (probably 15-16 if you really count). His has been very difficult to stop from getting the puck at the boards, and his passes most of the time go exactly where he wanted them to go. Some chemistry problems are still there for sure, some lack of trust in him by the rest of the team is slowly goes away, but is still there. I have counted at least 4 or 5 excellent plays that he has put together that went flat for the lack of trust that he will pull them off. Easily a dozen of times he has pushed the puck through the low slot and there was nobody there (pretty typical of Jackets unfortunately) . Not only he leads the league in takeaways, he also has the one of the lowest giveaways which makes him a leader in turnover differential 21-to-5. I am not going to talk about some sneaky pocking and prodding, but he probably leads the league in the number of undetected dirty contacts, which is while a lot of fun for me to watch, it must be very upsetting to the fans of the team where he perpetrates against. Another thing that I see, is that he is much more involved in D with jackets than with Hawks. We might see him on PK towards the end of the season, because thieving bastards like that could be very helpful. On the team overall, I love Seth Jones and Zack Werensky games, they are back where they left off, playing the rover parts - very exciting to watch. Josh Anderson is very outstanding and probably will be looking at his best season this year. Bob will be fine I think, he is slow to get going, but is doing pretty good giving the high risk defense that he has to rely on. Korpy is looking sharper this season than last. Jackets rookies are pretty exceptional, especially Dubois. Obviously Atkinson and Bjorkstrand are going to be in the spot light. Both are no longer far wings, they are now, getting down and dirty and loving it. I am pretty excited to see how they do in December. 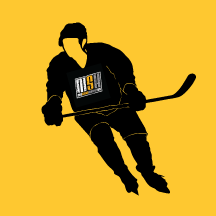 New Jersey Devils Spring Adult Hockey League - Register Now! After a successful inaugural season, we are pleased to announce that the Barnabas Health Hockey House will be bringing back our Adult Hockey League for the Spring of 2017! This year’s spring league will consist of two separate divisions (C and D), each playing a 10 game regular season + playoffs The season is set to begin on March 22nd and will end on June 8th Games will be played on Tuesdays and Thursdays (three Wednesdays due to Prudential Center conflicts), with early start times of 8:00pm and 9:30pm Team registration is only $3,000 and all participants will receive free parking in our VIP Parking Deck! Prizes to be announced in the near future! Please visit our website www.barnabashealthhockeyhouse.com/adult-hockey-league or contact Jason Verrico at jverrico@prucenter.com for more information, or to register your team! Barnabas Health Hockey House Adult Hockey League - Register Now! We are pleased to announce that the Barnabas Health Hockey House at Prudential Center (formerly AmeriHealth Pavilion), the official practice facility of the New Jersey Devils, will be hosting its first Adult Hockey League in the summer of 2016. The league will begin on June 8th and span 10 weeks, ending on August 10th. Teams will play a 10 game regular season, with the top-4 teams making the playoffs. Team registration is only $2,800 and all registered players will receive 2 tickets* to a 2016-17 New Jersey Devils home game. In addition, the championship team will receive a suite* to a 2016-17 New Jersey Devils home game. (*Game tickets for participants and suite tickets for the championship team are subject to availability and the game selection will be made at the sole discretion of the Hockey League. Food, beverages and concessions are not included but may be purchased by the team.) We are still looking for teams and there is still time to register as a team or as an individual free agent! Please visit our website www.barnabashealthhockeyhouse.com/adult-hockey-league or contact Jason Verrico at jverrico@prucenter.com for more information or to register your team! http://www.cbc.ca/sports/hockey/nhl/nhl-all-star-game-three-on-three-1.3325007 Now this could be interesting. The ASG has been pretty stagnant for years. At least this way the players have something behind it now. You all know how this game is played by now. This is a atempt to do a movie inspired form winter classic, from me and friends playing beer league with mc dudes, and playing hockey that we all love. sarkasm comments are welcome :). Going to be 5 parts, and this is just a prewiev of the best hockey story ever ;). From sweden with love. So, are the Rangers the second team to make a coaching change this season or do they try and trade a player or two first? First preseason game, might as well have a topic about it, right? Like him or not, Ovechkin deserves some credit tonight. Not only did he play in the first preseason game at a neutral site, he also came back on the ice after getting cut by a high stick. There are a lot of players in the league, as well as the HHoF that would not have done either of those things. Hi everyone. First post here. I'm looking for some information about the model of Easton stick used by Adam Foote in the image at this URL (posting with a phone, so apologies for not attaching the image properly): http://2.cdn.nhle.com/avalanche/images/upload/2011/04/FooteThroughTheYearsFinal/15x_slide.jpg I recently purchased an Foote autographed game-used blade, and this stick is an exact match. I'm trying to find a stick or shaft like this so I can put the blade on it. Thanks in advance!